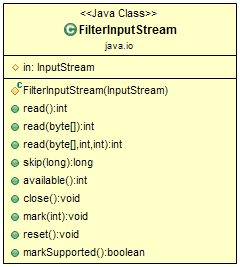 The FileInputStream class creates an InputStream that you can use to read bytes from a file. It is used for reading byte-oriented data (streams of raw bytes) such as image data, audio, video etc. You can also read character-stream data. But, for reading streams of characters, it is recommended to use FileReader class. FileInputStream(String name) - Creates a FileInputStream by opening a connection to an actual file, the file named by the pathname in the file system. Either can throw a FileNotFoundException. Here, filePath is the full pathname of a file, and fileObj is a File object that describes the file. int available() - Returns an estimate of the number of remaining bytes that can be read (or skipped over) from this input stream without blocking by the next invocation of a method for this input stream. void close() - Closes this file input stream and releases any system resources associated with the stream. protected void finalize() - Ensures that the close method of this file input stream is called when there are no more references to it. FileChannel getChannel() - Returns the unique FileChannel object associated with this file input stream. 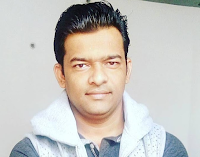 FileDescriptor getFD() - Returns the FileDescriptor object that represents the connection to the actual file in the file system being used by this FileInputStream. int read() - Reads a byte of data from this input stream. int read(byte b) - Reads up to b.length bytes of data from this input stream into an array of bytes. int read(byte b, int off, int len) - Reads up to len bytes of data from this input stream into an array of bytes. long skip(long n) - Skips over and discards n bytes of data from the input stream. In this example demonstrate the usage of few important methods of FileInputStream class. This example shows how to read a single byte, an array of bytes, and a subrange of an array of bytes. It also illustrates how to use available( ) to determine the number of bytes remaining and how to use the skip( ) method to skip over unwanted bytes. The program reads its own source file, which must be in the current directory. Notice that it uses the try-with-resources statement to automatically close the file when it is no longer needed. * The class demonstrate the usage of FileInputStream class methods. // Use try-with-resources to close the stream.